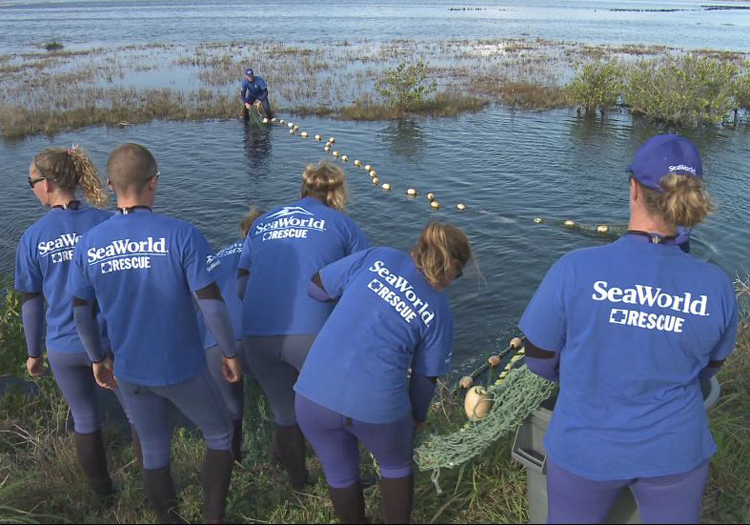 SeaWorld animal care experts have helped more than 22,000 animals in need over the past four decades, many of which have been manatees. 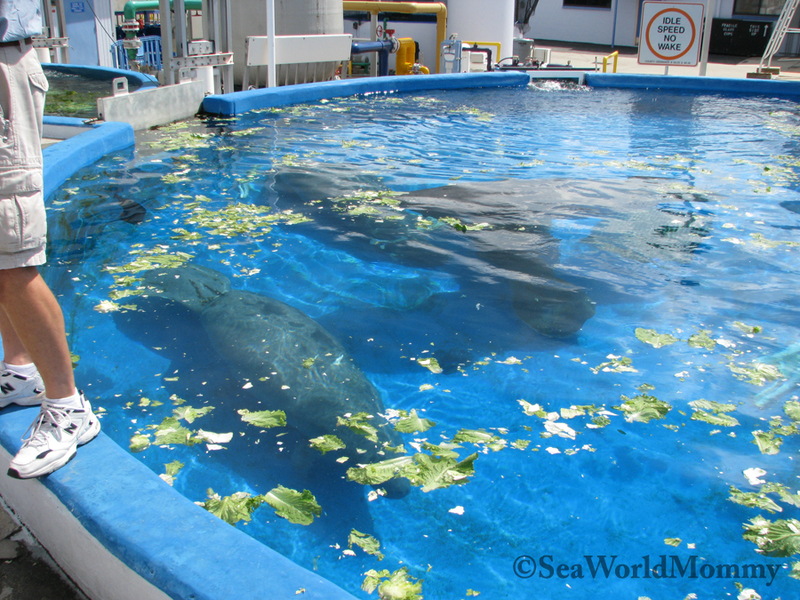 Today [Thursday, July 18], four of those special creatures will be released LIVE at 10 a.m. ET! 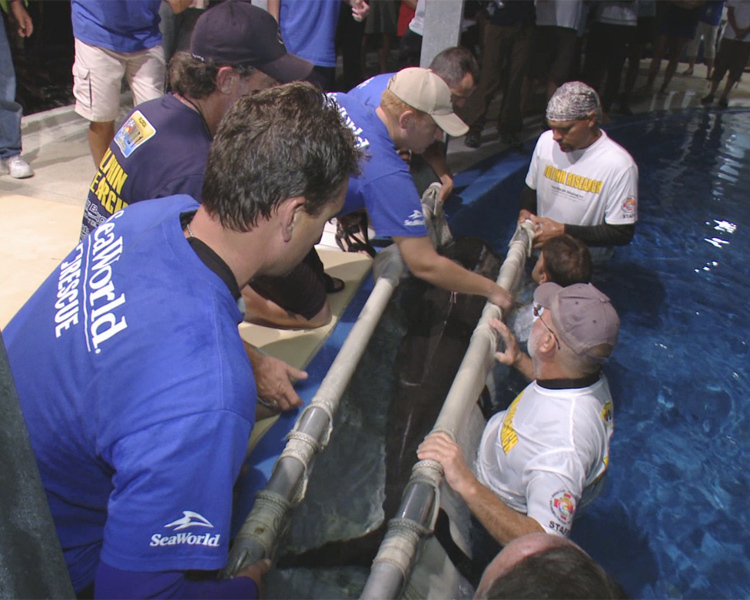 Pipsqueak, Braille, Nitty and Asaka will return to the waters of Eddy Creek in Brevard County, Florida and for the first time SeaWorld will broadcast the event! 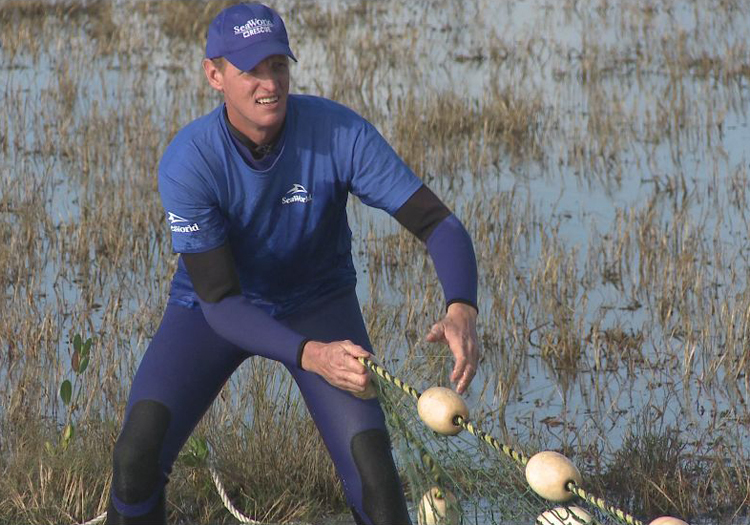 Animal enthusiasts from around the world can watch the event as it’s happening (Click here). Braille, Nitty and Pipsqueak suffered mild cold stress last December after getting caught in the mosquito impoundment in the Merritt Island National Wildlife Refuge. They are doing so well with rehabilitation, they’re packing up and getting ready to roll! so mosquitoes have fewer places to lay eggs and breed. This past March, Asaka suffered from buoyancy issues which led to her rescue by the Florida Fish and Wildlife Conservation Commission (FWC) from the Indian River in Merritt Island, Florida. While at SeaWorld, her buoyancy issues were resolved. buoyancy” and their horizontal position while they graze. Without this ability, they cannot properly feed. 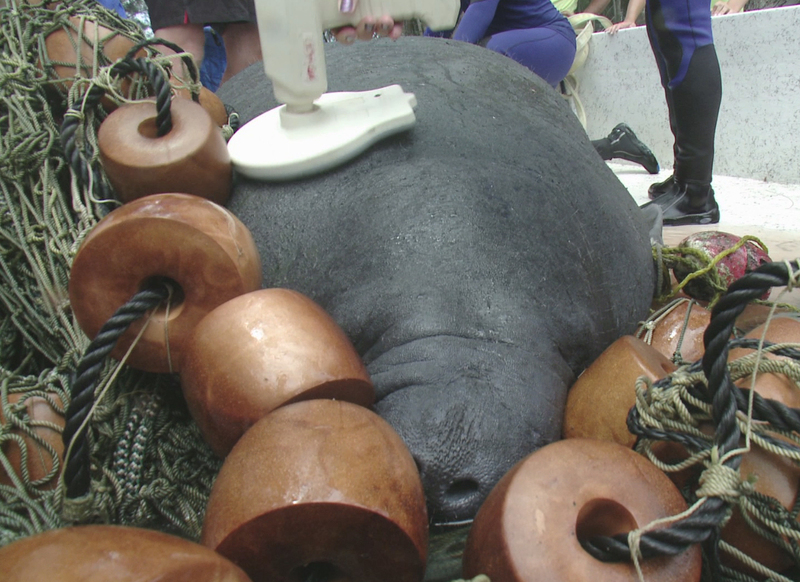 Cleared for release, the four manatees will be fitted with a satellite tag that will allow the FWC to monitor the animals’ movements to ensure their success. 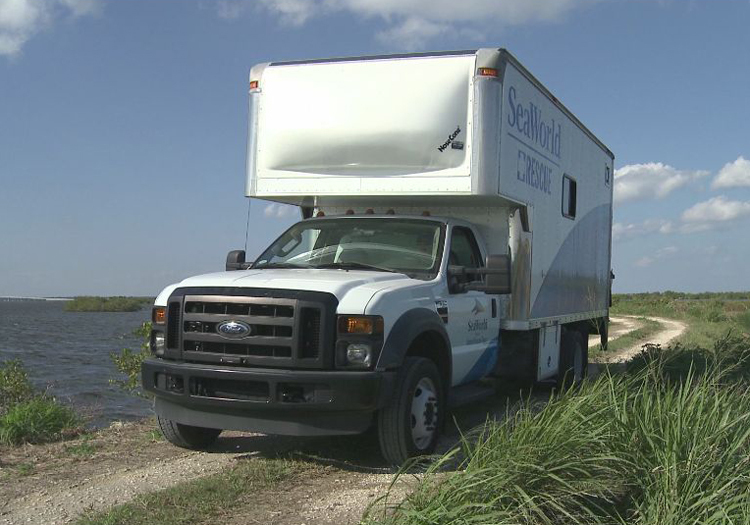 SeaWorld’s animal rescue team, along with Canaveral National Seashore and FWC team members, will participate in the release. Tune in, or follow on FaceBook, Twitter and Instagram. FWC hotline at 1(888) 404-3922 or by dialing *FWC on a cellular device. 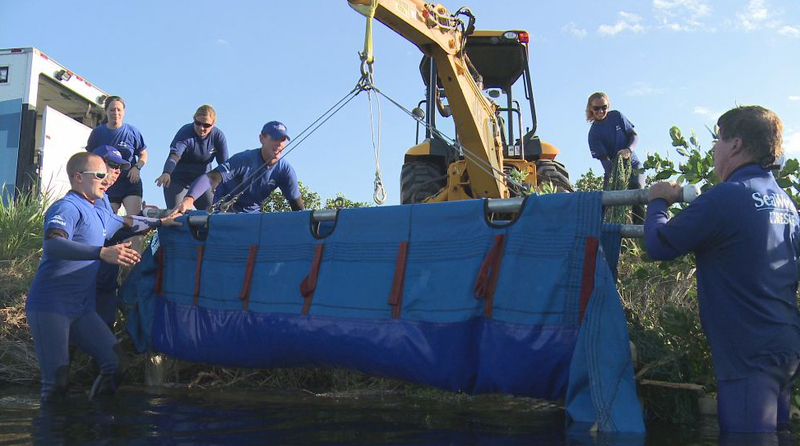 This past week SeaWorld Orlando Animal Rescue Team has been involved in rescuing three manatees trapped in waterways in Merritt Island National Refuge where they were unable to navigate back out. Each exhibited symptoms of cold stress. 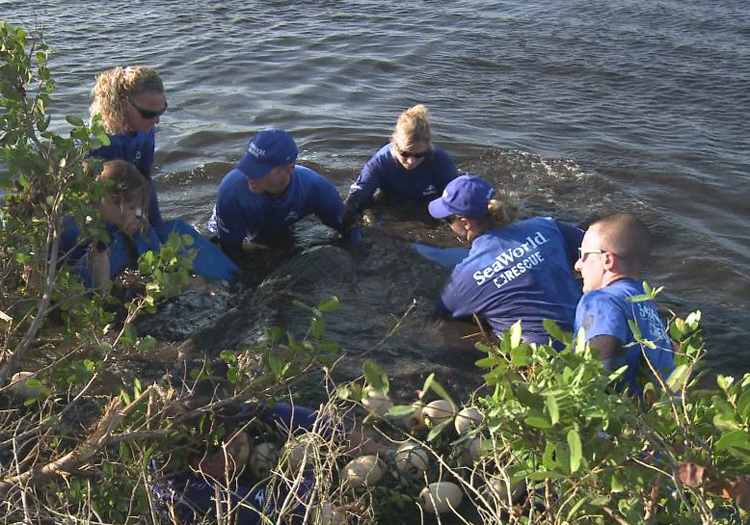 The manatees, one male and two female, were taken back to SeaWorld Orlando where they were assessed. Blood samples were taken and all will be monitored closely for the next few days while they receive exceptional care and a healthy diet. 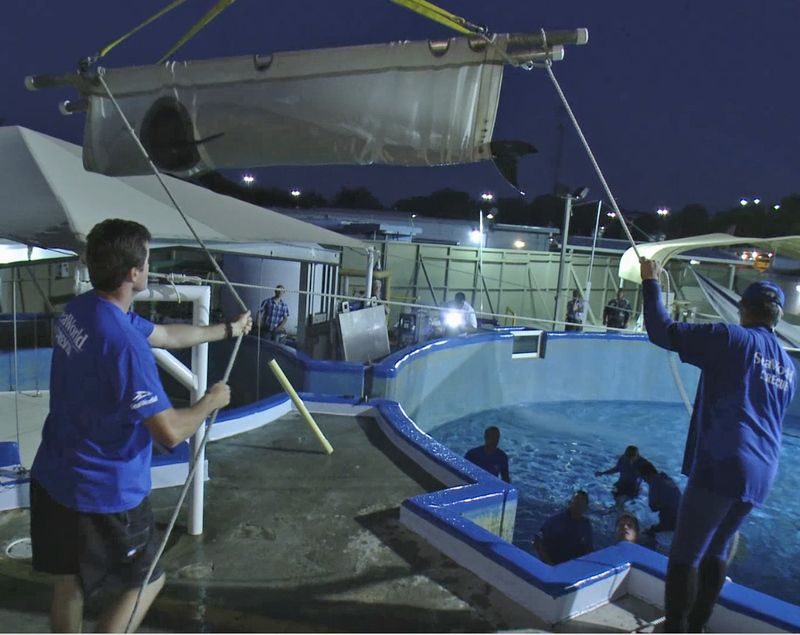 SeaWorld Parks and Entertainment works in collaboration with the government and other accredited stranding agencies to rescue ill and injured marine animals. In 2012 they have rescued 19 manatees, 10 of which have already been returned to their natural habitat. 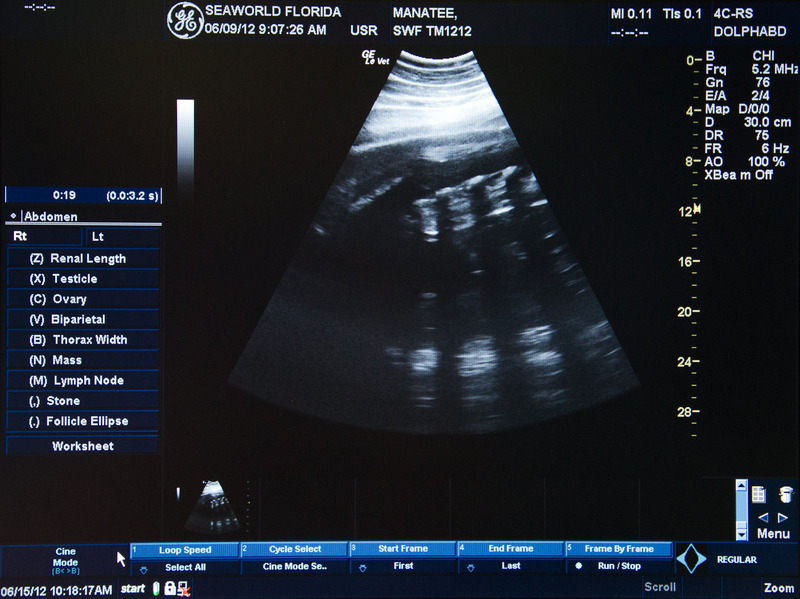 All photos courtesy SeaWorld Orlando through footage produced by SeaWorld under FWS Permit Number MA7701911. SeaWorld Orlando’s animal rescue team transported four pilot whales from Harbor Branch Oceanographic Institute to SeaWorld this morning (September 5, 2012). 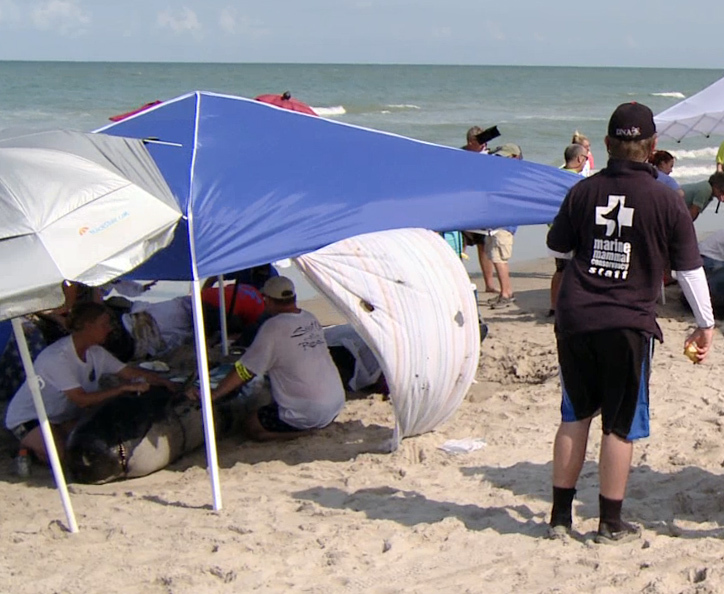 The juvenile short-finned pilot whales, one male and three females, were part of the mass stranding earlier this week at Avalon State Park in Ft. Pierce. Experts from Florida Atlantic University’s Harbor Branch Oceanographic Institute cared for the animals temporarily alongside members of the SeaWorld Orlando’s animal care team, the Florida Fish and Wildlife Conservation Commission, Marine Mammal Conservancy, University of Florida, Ocean Embassy as well as trained volunteers worked tirelessly to help the whales stabilize for their trip this morning to SeaWorld Orlando. 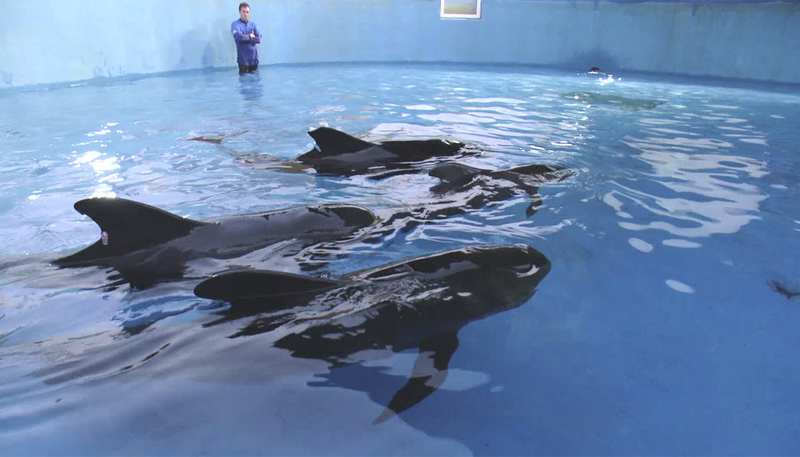 Once there, the whales were quarantined for additional observation and treatment. 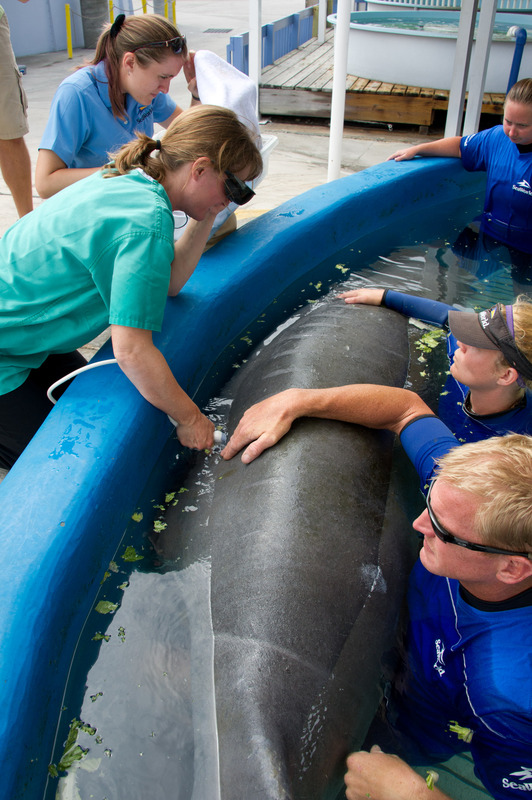 Veterinarians and rescue staff will care for the whales 24 hours a day, including tube-feeding those who are young and unable to eat fish yet. It is still undetermined why the pod stranded on September 1. Necropsies may shed light on the reason, but it is possible the cause could remain a mystery. 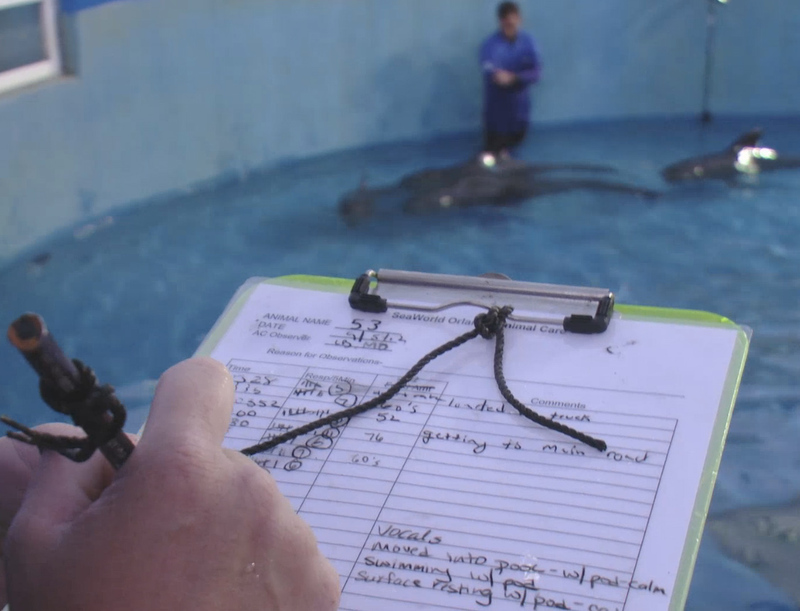 Then are carefully lowered into the rehabilitation quarantine pool at SeaWorld Orlando. 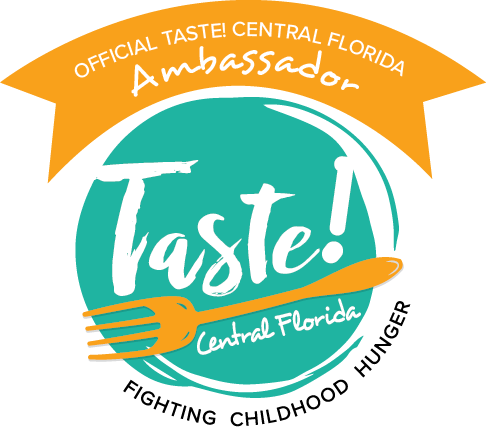 Saturday, September 1 in the afternoon, a pod of 22 pilot whales stranded themselves in Ft. Pierce, Florida at Avalon Beach State Park (St. Lucie County). Members of the Florida Fish and Wildlife Conservation Commission, Marine Mammal Conservancy, University of Florida, Florida Fish and Wildlife, Harbor Branch, SeaWorld, as well as many, many locals who were in the area tried to save as many of the whales as possible. Despite their best efforts, only 5 juvenile whales survived, two males and three females. Pilot Whales form tight-knit groups. Scientists aren’t certain why some pods beach themselves, but the predominant theory is that the lead whale either becomes sick or injured, and they stick by him. Even when rescuers attempt to push whales back into the water, they re-beach themselves which is why transport of the surviving whales was necessary. 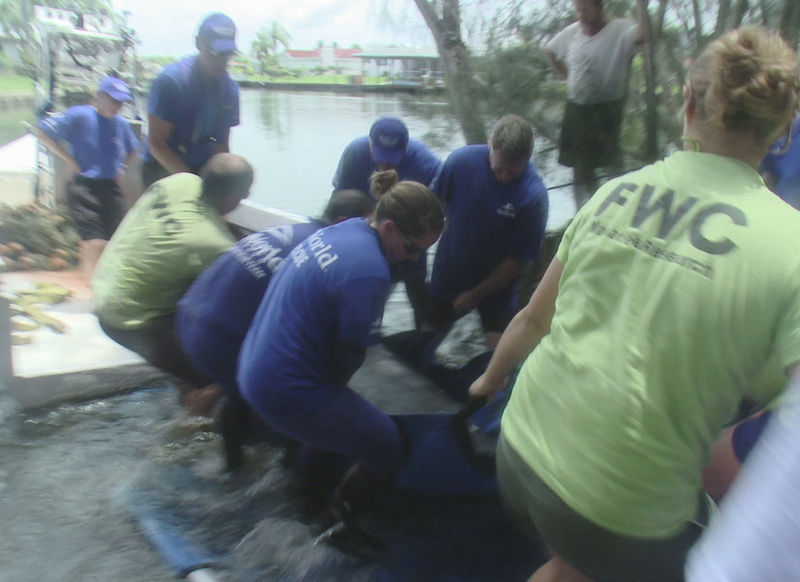 If you see an injured or orphaned marine animal, call the FWC hotline at 1-888-404-3922 or dial *FWC on a mobile device. Pedro Ramos-Navarrate, Supervisor of Animal Care, and SeaWorld Animal Care Experts steady the female manatee in the rescue boat. 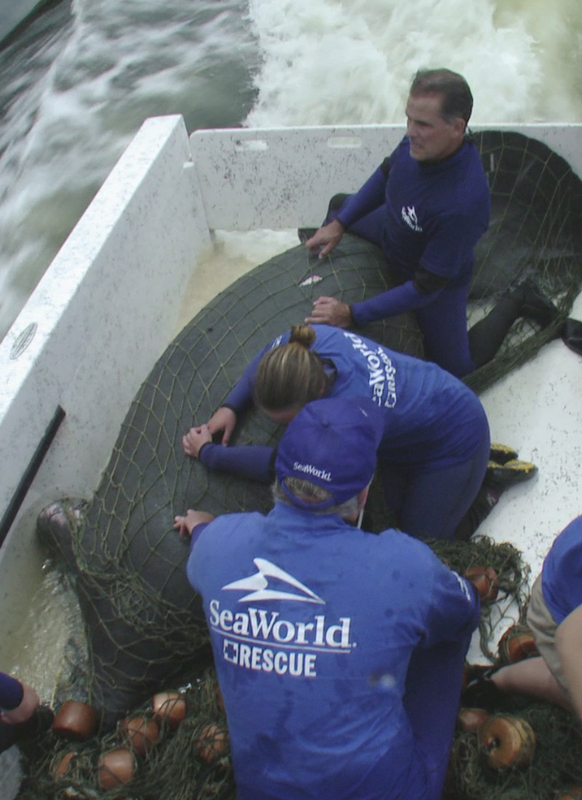 Florida Fish and Wildlife Conservation Commission rescue team members work alongside SeaWorld rescue and rehabilitation workers to transport the injured female manatee rescued near Cocoa Beach, FL. 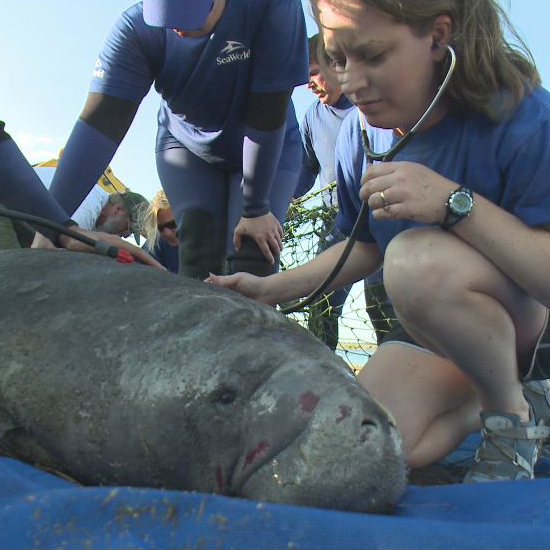 The 10-foot manatee rescued on June 8 from Sykes Creek in Merritt Island, FL from crab trap line injuries has been determined to be pregnant by SeaWorld animal care experts. 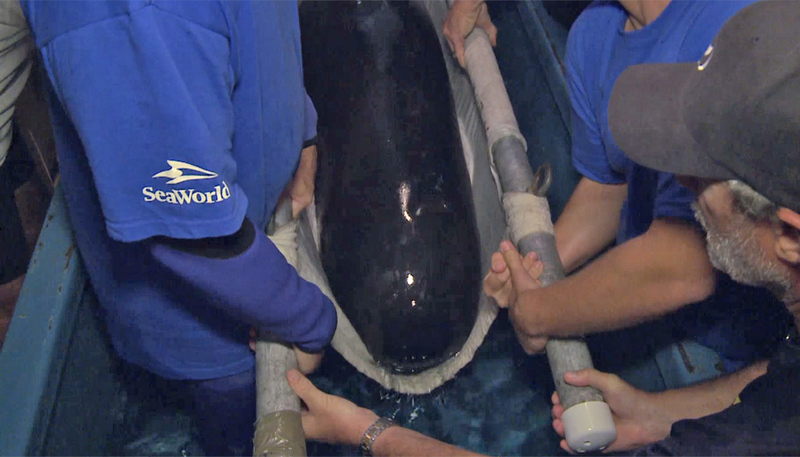 After assessing and treating her injuries to her right flipper, the 1,400-pound adult was given an ultrasound which confirmed the animal care expert’s suspicion (based on her large size). Manatees usually have a 12 month gestation period, though it is unknown exactly how far along she is at present.